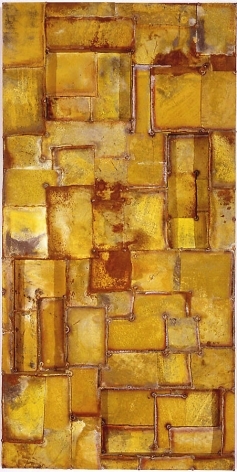 Joseph developed the unique methodology used to produce the paintings seen in this show in the 1970s, when, like Frank Stella, Carl Andre and Chamberlain, he began working with found objects and developed an affinity for industrial urban materials and simplified forms. Joseph, however, wanted to carve out an aesthetic identity that went beyond the overt visual effect of real objects. 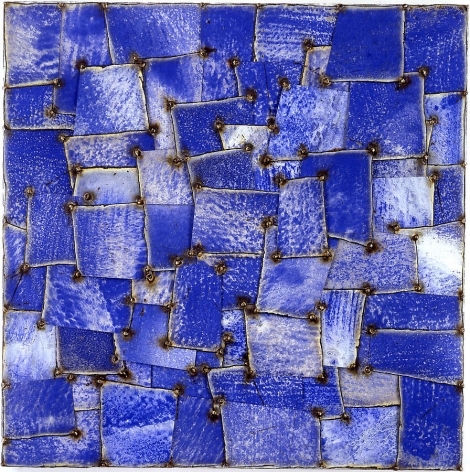 In the 60s and 70s, he was acutely aware of the alarming pace of the degradation and exploitation of nature, and began engaging it in creating his art. This was an important breakthrough. He then coalesced an earlier interest in the Russian Constructivist movement with his urban aesthetic and concern for nature. Joseph applies pure pigments on sheets of zinc-galvanized steel and then exposes them to the elements on the roof of his Hudson Street Studio. 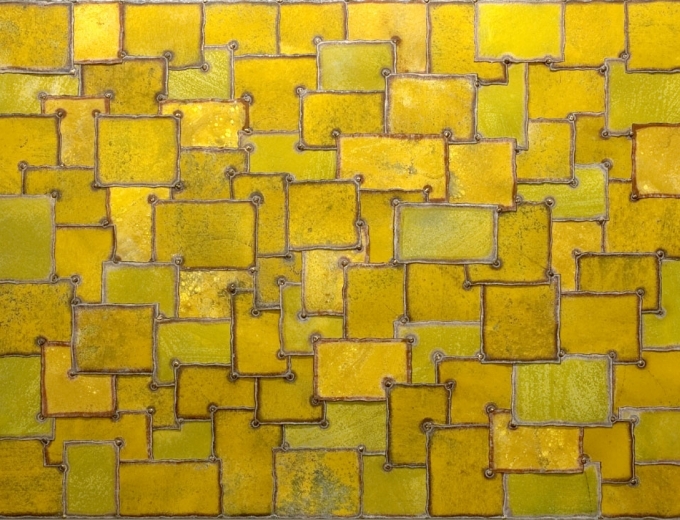 He aids the oxidation process through various methods and adds raw pigments to the rusted metal surfaces. 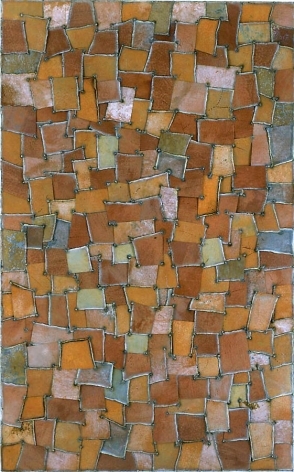 Joseph produces compositions of rich surface textures and colors, works that are both wall sculptures and painted reliefs. 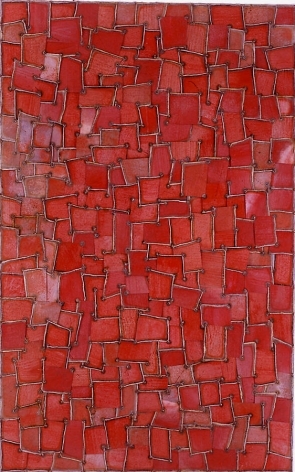 The strong emphasis on the construction of the compositions as well as the coloration of the sheets blurs the boundary between painting and sculpture.